In conjunction with our 30th Anniversary, this award was instituted to honor someone for their service in educating the public and preserving the flora and habitats of Tennessee. Dr. Margret Rhinehart did a lot of plant collecting, vouchered many new county plant records across Middle TN, and through her husband, State Senator Shelby Rhinehart, helped influence legislation favorable to plants and their environment. She suggested to TNPS that Senator Rhinehart would be receptive to legislative support for our wildflower book, which resulted in TNPS receiving funds for publication expenses. 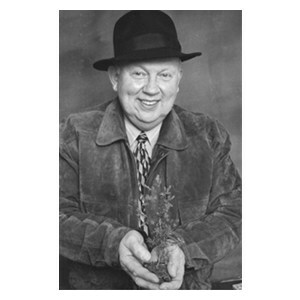 Dr. Rhinehart was an avid plant hunter and finder. Her lifelong habit of collecting statewide (especially her home county of Van Buren) contributed greatly to our knowledge of Tennessee flora. She also led a number of field trips for TNPS down through the years. Kathleen Williams has been the force behind Tennessee Parks and Greenways Foundation for all of its 17 years as it works to protect plant ecosystems. Under her leadership, TennGreen, as it’s also known, has protected more than 15,000 acres of forested land through acquisition and conservation easements and has saved more than 40 natural treasures across the state. Its mission has been to protect Tennessee’s natural treasures and to create a network of parks, greenways, and wildlife areas. Several innovative programs have been started. Under one such initiative, grants totaling $315,000 have helped nonprofit groups begin or improve greenway/blueway projects. Previously, Kathleen was executive director of the Tennessee Recreation and Parks Association and helped establish permanent dedicated funding for land acquisition through the Tennessee Real Estate Transfer Fund. Then after the fund was eliminated, Kathleen organized a successful state-wide effort to restore more than $16 million in annual funding to conservation. 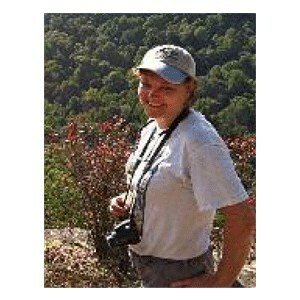 Kathleen has received awards from many other organizations, including the Tennessee Trails Association, the Sierra Club, and the National Wildlife Federation. More information about TennGreen may be found at https://www.tenngreen.org ⤤. The TNPS Conservation Award has gone to individuals each year since its creation in 2008, but the Wildflower Pilgrimage is impossible to overlook. Many individuals have contributed time, talent, and resources to its success, and few events have done more to attract the public’s attention to the beauty and value of native wildflowers and habitats. Many members of TNPS continue to lead wildflower hikes and make presentations during the Pilgrimage. Ken McFarland of the Smoky Mountains Spring Wildflower Pilgrimage accepted the TNPS Conservation Award. 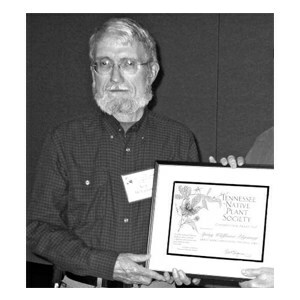 The 2011 TNPS Conservation Award was presented to Edward W. Chester, emeritus professor of biology at Austin Peay State University and a leader in research into plants and plant communities of Tennessee and Kentucky. TNPS members are particularly familiar with Dr. Chester because of his work on a Tennessee checklist of plants (for which he was lead author) made in preparation for a technical manual of the Tennessee vascular flora. That manual is expected to be completed in 2012 by the Tennessee Flora Committee, with Dr. Chester serving as the facilitator and project coordinator. The project receives financial assistance from TNPS. Over 46 years of teaching and research at APSU, Dr. Chester’s research interests and subsequent publications (more than 150, including seven books) have mostly involved a broad range of plant studies. His special interests are the flora of Land Between the Lakes, the barrens of the Pennyroyal Plain in Kentucky and Tennessee, rare plants, and woody plants of Tennessee. Dr. Chester continues to teach at Austin Peay on a part-time basis, and he continues his research. 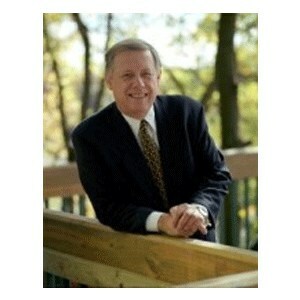 He is a reviewer of science books for the University of Tennessee Press and the University Press of Kentucky. He is also a manuscript reviewer for several scientific journals and is a botanical consultant for the U.S. Forest Service at Land Between the Lakes. He has served since 1988 on a committee of 12 botanists appointed by the Tennessee Commissioner of Environment and Conservation to recommend additions and revisions to the Tennessee rare plants list. He has received numerous grants from agencies, foundations, and organizations to pursue his research. Dr. Chester was born in Blooming Grove, Tennessee, the ninth of ten children, worked on the family farm, and later worked in construction and a factory. He received his bachelor’s degree from Austin Peay, also attended Peabody College, and received his master’s and Ph.D. degrees from the University of Tennessee. He was a science and math teacher in a rural Tennessee school before attending graduate school. The most important things in his life, Dr. Chester says, are family, faith, friends and colleagues, and the conservation of natural resources. His philosophy of education is centered on the worth of every person, the belief that learning is a vital part of life, that learning should be a joy, and that anyone can learn something from each experience that life offers, confronts us with, or that we make on our own. PS. Tennessee Gov. Bill Haslam and Tennessee Department of Environment and Conservation Commissioner Bob Martineau presented Dr. Edward Chester with the Robert Sparks Walker Lifetime Achievement Award at the 2017 Governor’s Environmental Stewardship Awards on June 16, 2017. TNPS has recognized Gov. Phil Bredesen’s exceptional efforts and successes in the protection of wilderness and the environment over the past eight years with the annual TNPS Conservation Award. Mary Priestley, TNPS president, along with board members Michelle Haynes and Bertha Chrietzberg, presented the governor with a framed certificate, a photo of TNPS members holding a banner thanking the governor, and a copy of the TNPS wildflower book. “When he found out we were with TNPS,” Mary said, “he was anxious to tell us about his personal efforts at propagating the Tennessee coneflower, ‘something you don’t know about me,’” as he described it. “‘It’s not easy,’ he said. ‘You have to stratify the seeds for 60 days, transfer plants from plugs to pots, and finally put them out. We have planted hundreds.’ He was well aware that the Tennessee coneflower was on its way off the endangered plant list,” Mary said. Working with the General Assembly and partnering with business organizations and other groups, the governor has been the leader in the protection of more than 200,000 acres in Tennessee since he took office in 2003. His office has provided a long list of accomplishments in the conservation arena. For instance, Governor Bredesen developed the Heritage Conservation Trust Fund in 2005. In just a few years of operation, this trust fund has provided more than $30 million for 29 projects that leveraged an additional $90 million to protect more than 42,000 acres in Tennessee. In 2007 the governor completed the 127,000-acre “Connecting the Cumberlands” conservation project, which utilized key partnerships and conservation tools to protect land in ecologically and culturally significant areas of the Northern Cumberland Plateau. The state’s $82 million investment in the Northern Cumberlands Acquisition is the largest of its kind in state history and the largest conservation appropriation by any one state in recent years. It is the largest conservation investment in Tennessee since the establishment of the Great Smoky Mountains National Park in the 1930s. Governor Bredesen is also credited with making major improvements in Tennessee State Parks, first by opening 14 parks that were closed in 2003 and by removing access fees at 23 parks. Major efforts included the All Taxa Biological Inventory by staff and volunteers collecting and cataloging plants and animals residing in the parks. Also, some $500,000 in proceeds from the sale of State Parks license plates were sent to the Iris Fund and used for planting and maintaining of native wildflowers, shrubs, and trees in state parks. These and other efforts to improve Tennessee’s parks resulted in the state being honored with the prestigious Gold Medal Award for Excellence from the National Recreation and Park Association, the highest honor a park system can receive from the industry. Tennessee is only the fourth state ever to receive this honor. Under Governor Bredesen the Department of Environment and Conservation has acquired grants of nearly $12 million for 87 projects from the Local Parks and Recreation Fund and the Recreational Trails Program. The Governor’s fiscal year 2010-2011 budget included restoration of the Real Estate Transfer Fees for land conservation funding. Because of these and other accomplishments, TNPS is itself honored to present its Conservation Award to Governor Phil Bredesen. Those of us who know Bertha know her as a staunch protector of Tennessee’s environment, a champion for outdoor recreation, and a true environmental educator. She has been tirelessly working on these vital issues for more than 45 years and is a genuine example of the power each one of us has to make a positive change in this world. Bertha’s influence on conservation within the state of Tennessee is immeasurable. She has been at the birth of and continues to help guide numerous watchdog groups with the mission of protecting Tennessee’s environment. 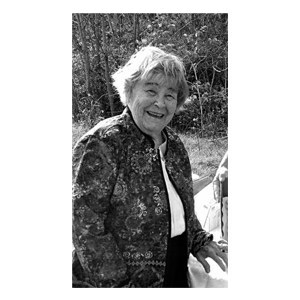 Bertha was a founding member of the Tennessee Scenic Rivers Association and the Tennessee Trails Association, both established in the late 1960s. She has been a dominant force in the Tennessee Environmental Council, Tennessee Citizens for Wilderness Planning, Friends of Fall Creek Falls, Friends of the Stones River Greenway, the Black Fox Wetland League, the Stones River Watershed Association, and the Tennessee Native Plant Society. Bertha’s work has helped to bring about real, measurable, and lasting change. She was a member of the Tennessee Scenic Rivers Association (TSRA) when that organization put a stop to the Columbia Dam on the Duck River by taking the issue to court. This action saved thousands of acres of valuable farmland and rare cedar glade plant communities. As a conservationist, she has clearly demonstrated the power of one in her ability to work quietly and effectively. For example, Bertha worked determinedly to reroute the I-840 bypass around a population of rare sunnybell lilies in Rutherford County. Bertha was one of the founding members of the Black Fox Wetland League which saved the environmentally and historically significant Black Fox Spring in Rutherford County from the consequences of development both present and future. Through seed money contributed by Bertha, the League purchased land adjacent to the Black Fox Spring, and then donated it to the city of Murfreesboro. Through the league’s urging, the Tennessee Wildlife Resources Agency acquired 35 acres across the road from the spring to provide additional protection. Bertha has been active in the field of environmental education for many years. Her commitment to environmental education is demonstrated through her role in creating the outdoor recreation major at Middle Tennessee State University through which many of her students have become environmental leaders. She has been actively involved in the Girl Scouts of America, conducted wildflower walks, written many articles, contributed to books, been interviewed on television about Tennessee’s natural wonders, and has worked with Elderhostel and Murfreesboro’s St. Claire Senior Citizens Center. Bertha and Dr. Kim Sadler of MTSU’s Center for Environmental Education have worked with elementary school students within middle Tennessee’s rare cedar glade ecosystem. Bertha’s educational efforts have instilled a sense of stewardship for our environment in hundreds of Tennessee students old and young alike. 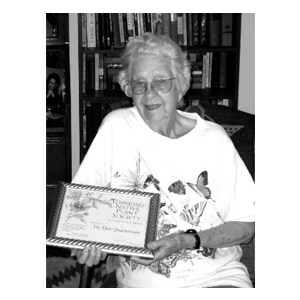 Dr. Elsie Quarterman, emeritus professor of biology at Vanderbilt University, was born in 1910 in Georgia, completed her undergraduate work at Georgia State Woman’s College and post-graduate studies at Duke University. She accepted a faculty position at Vanderbilt University and later became the University’s first female department chair, heading the biology department in 1964. Elsie Quarterman is an amazing person. If she had done nothing else in her long life, she would deserve recognition for her scholarly investigation of the ecology of the cedar glades. She carefully catalogued the many unique plants that have evolved to withstand the combination of wet springs and searingly hot summers of the glades. Teamed up with Vanderbilt geologist Charles Wilson, they carefully mapped out the region where Lebanon limestone lies on the surface. This research remains the authoritative analysis of the succession of plants in the cedar glades. And this was only her dissertation research; a lifetime of research was to follow. Dr. Quarterman has been a tireless advocate for the preservation of valuable natural areas, not only her beloved cedar glades, but also others, such as Savage Gulf, with its stand of virgin timber, and Radnor Lake in Nashville. Not only are cedar glades now protected in Cedars of Lebanon State Park and Long Hunter State Park, but numerous smaller glades are now protected for generations to come. A number of older colleagues recognized Quarterman’s ability and helped her along the way. Among them was her botany professor at Duke University, H.G. Oosting. The head of the Biology Department of Vanderbilt University, met her at a summer project at the Highland Biological Station. Impressed with her academic recommendations, he offered her a job at Vanderbilt. This was to become a lifetime position, at a time when women faculty members were a rarity, especially at Vanderbilt. In turn, Quarterman helped to develop the next generation of field botanists. She trained and inspired a generation of botanists and ecologists, including Barbara Turner and Don Caplinor who taught at Peabody College. Thomas Hemmerly, the coauthor of our recently published guide, Wildflowers of Tennessee, was one of her first students. He says “She was consistently supportive of my efforts, as she was of all her students, and remains a friend today.” Reading their research reports gives an appreciation for the meticulousness and creativity of their methods. Adjacent papers in the same journals read like eighth-grade science projects by comparison.